The New Standard in Hanging Folders. 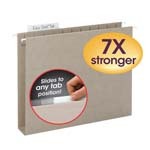 TUFF® Hanging Folders with Easy Slide™ Tab are the Gold Standard for hanging folders. 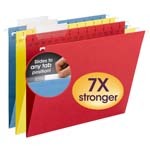 Seven times stronger than the leading competitor's hanging folder, the specially designed reinforced rods are 40% stronger to resist bending and paper tearing. The heavy-duty oversized plastic tabs easily slide and secure into the position you choose. 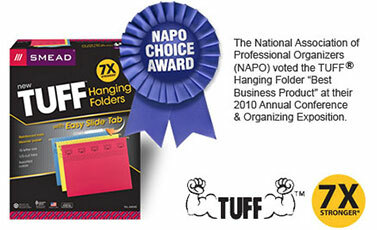 TUFF® Hanging Folders are available in a variety of options.